I wish I could pay for more mobile games. I imagine app developers find the above statement counterintuitive. After all, why should I want to pay for something when I can have it for free? Rampant music, movie, television – and yes, video game – piracy appears to confirm this. 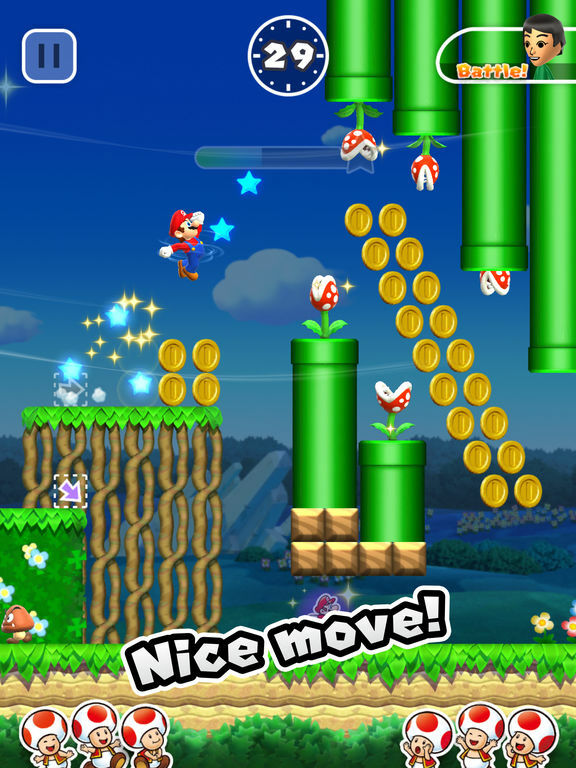 Exhibit B: Super Mario Run, the plucky plumber’s first mobile game, which made its debut on iOS in late 2016 and was quickly criticized for two things: the fact that, thanks to digital rights management (DRM) features, it could not be played offline, and its $10 USD price tag ($14 Canadian as of this writing). Wahoo! (Assuming you’re willing to pay $14.) Courtesy Nintendo. The price wasn’t just criticized; it was largely seen as the reason Super Mario Run “failed to meet” developer Nintendo’s expectations – a scapegoat that I hope was redeemed by recent news that the game earned Nintendo $60 million USD worldwide. Personally, as someone who refused to pay for data until I started working at ITWC (which covers my phone bill), I’m more inclined to blame DRM for the game’s initially low sales – I certainly wouldn’t have purchased it before I arrived here. Fortunately data wasn’t an issue for me, and once I actually started playing Super Mario Run its DRM became easy to ignore; after all, a frequently necessary evil of being a gamer is accepting the good with the bad, and there is nothing – nothing – else like Super Mario Run’s ingenious, mobile-friendly take on classic Mario gameplay. But for all of the game’s surprises – six complete worlds! A racing mode! Multiple characters! – there was no feature I loved more than the fact that I could buy it outright. Yes, the majority of mobile games – including big hits such as Candy Crush Saga and (sigh) Pokémon Go – are “free,” but they carry a price tag in the form of in-game purchases, and money isn’t the only cost those purchases carry. First, a concession: For game publishers, the “freemium” models supported by in-app purchases can be big business. Candy Crush Saga famously netted its publisher/developer, King, approximately $1.3 billion USD in 2014 alone, and even though its player base has dropped considerably since then, the most recent numbers I could find still report King making more than $216 million USD in a single quarter of 2017. Pokémon Go, meanwhile, netted developer Niantic $1.2 billion USD last year. It doesn’t matter that more than 98 per cent of players don’t make in-app purchases – the ones who do become a gift that keeps on giving. In fact, mobile game spending hit $48.3 billion USD last year. So if money is your only goal consider my argument in this column an acknowledgment that we aren’t compatible with each other. I don’t want to play “free” games, and you don’t want to develop them for me. But if you’re trying to reach that other 98 per cent? Folks like me who have probably spent more than a few thousand dollars on video games in their lifetime? That’s where the example set by Super Mario Run comes in. I have two experiences with “free” games: Electronic Arts’ massively multiplayer online MMO game Star Wars: The Old Republic (SWTOR) and the aforementioned Candy Crush Saga. I spent money on the first – more than I should have – but it’s the reason I was smart enough to quit the second. The Star Wars adventure I’ve spent the most time with. Not recommended. Whether they tell one or not, the best video games have the structure of good stories, bringing players along on adventures complete with an introduction, rising action, climax, and conclusion, to achieve ends both intimate (Cibele, Gone Home) and epic (Shadow of the Colossus, Mass Effect). 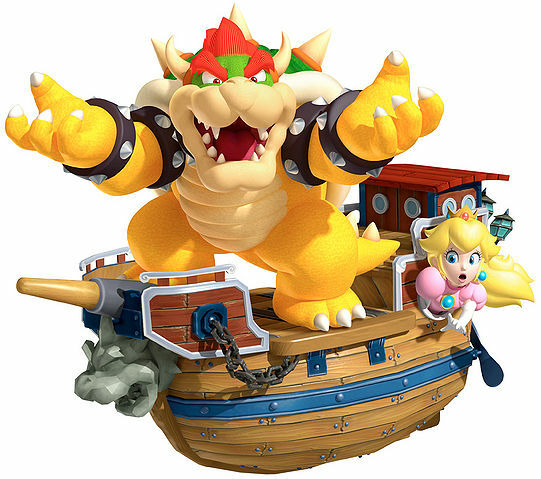 The Mario games, silly as they can be, generally have this structure as well, with most featuring an establishing cutscene (usually Mario’s nemesis Bowser capturing his beloved Princess Peach), followed by levels that ease players into the mechanics of his latest adventure before culminating in a boss fight. It’s 2018. They really should stop kicking off their games like this. Image courtesy Nintendo. Freemium games, by contrast, are simply designed to be just enticing enough to part players from their money. Often they’ll share a few mechanics with video games that are one-time purchases – Candy Crush Saga is a ripoff of tile-matching puzzle game Bejeweled, while SWTOR is a sequel to a pair of much better single-player games – but those mechanics are used as a means to a different end. 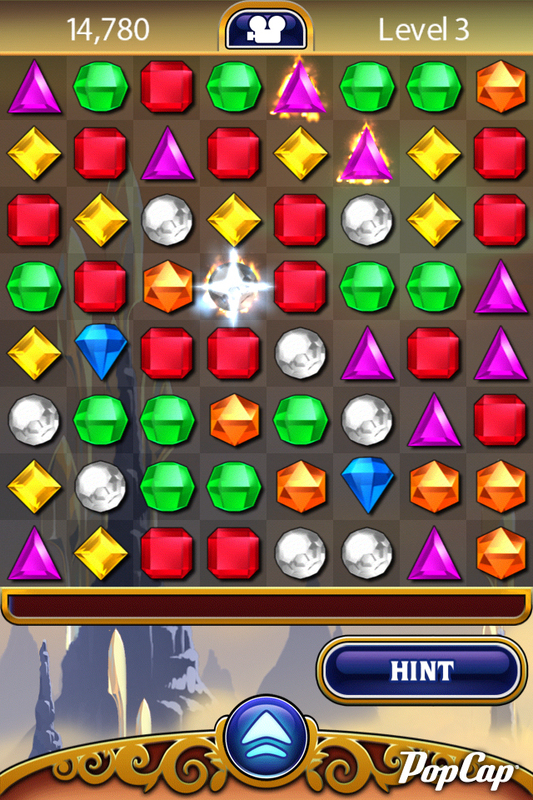 This is Bejeweled. Match three gems of the same colour and you win. Courtesy PopCap Games. Like its predecessors, SWTOR tells a story, but steers that story into a multiplayer component that requires players to buy a subscription. (SWTOR publisher Electronic Arts calls its model “free-to-play”; my online friends and I derisively referred to it as “free-to-pay”.) 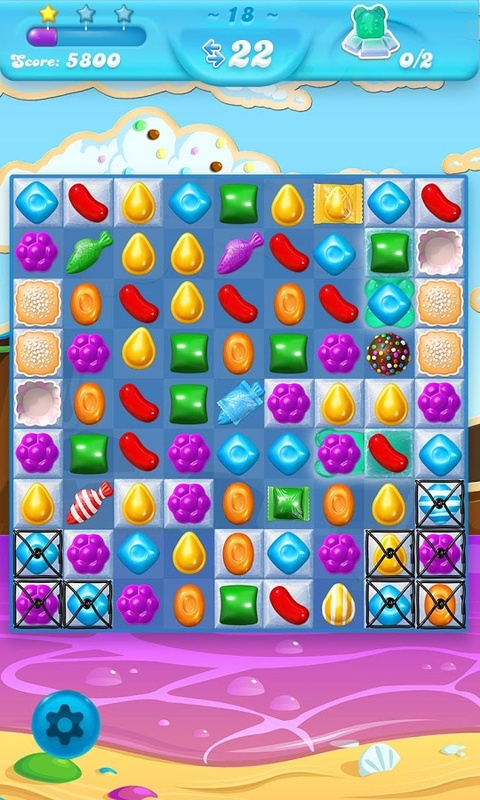 After a series of relatively easy levels, Candy Crush Saga begins adding new elements to Bejeweled’s foundation – pieces of chocolate that cover your pieces, for example, or meringues that need to be destroyed before your pieces drop into the main board – until it’s unrecognizable and absurdly difficult… unless you pay for items that help you move on to even harder levels. I don’t know what some of those pieces are, or how you get rid of them. I only played about 300 levels, and apparently, there’s now more than 3,000. Courtesy King. Yet the vast majority of mobile gamers are too smart to fall for them. Here, I can only speak for myself, and my number-one answer is… Bejeweled, which I purchased ad-free from the Google Play store. My second favourite is Zen Pinball, which charges $5 per table and lets me feel like I’m carrying an arcade in my pocket. My third favourite? Super Mario Run. And judging from this week’s news about its sales, it would appear I’m not alone. There’s a lesson here, and I hope more than a few companies pick up on it: If you’re an app developer, don’t create an experience designed to part me from my money. Design an experience I’ll enjoy for its own sake. Then charge me for it.